Have you ever thought about studying at a college or university in the United States? 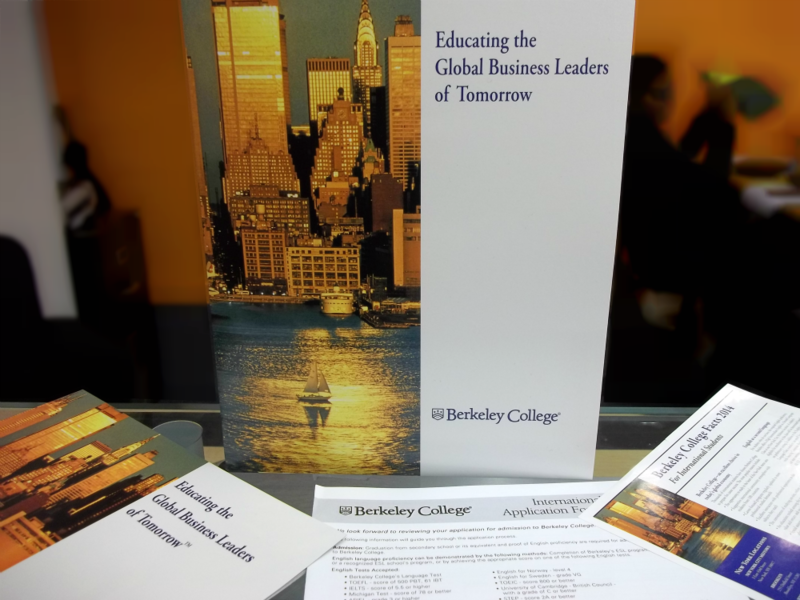 On Monday, January 13th, Berkeley College, one of EC’s partner schools, visited EC New York to give more information about their schools and programs. 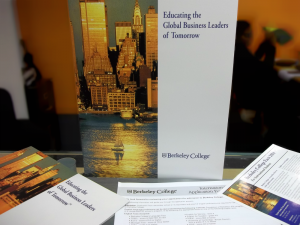 Read more if you want to learn the top reasons for going to Berkeley College. 1. Berkeley College is renowned for its Business and Fashion programs. Berkeley College only offers 16 possible majors and 12 of them are related to Business or Fashion. As a result, they excel in delivering these programs at the highest quality. 2. Berkeley College is in the heart of the city. The school is only a 5 minute walk from EC New York and just across the street from the famous New York Public Library. With New York as your campus, Berkeley College offers the excitement and energy that you can find only in the greatest city in the world. 3. Berkeley College has 900 international students, 10% of its general populationll be in classes with native speakers of English. This way you can learn your major and improve in your English skills. 4. All students get work experience while they study. During your final year at Berkeley College, you will meet with a career advisor who will give you career advice and help you with your resume. After this, you will have an opportunity to intern at a company in New York. Some famous companies that students have interned with include: Coach, BCBG, JP Morgan, Fendi, and Victoria’s Secret. Not too shabby! 5. Berkeley College offers scholarships to all its students. Paying for university studies can be expensive so it’s extremely helpful when scholarships are available. If you apply to Berkeley and complete a scholarship application form, you are guaranteed to receive some type of scholarship. Most students get 10%-25% off of their entire tuition. 6. Berkeley College operates using rolling admission. If you are a procrastinator, this is a great advantage. There are no official deadlines for applying to Berkeley College so you can apply to the school even 1-2 days before the start of a new quarter. The next start date is April 7, 2014. Will you apply? 7. You can enter Berkeley College without a TOEFL score. As a student at EC New York, you have the unique opportunity to gain admission to Berkeley College without a formal TOEFL score. Check with EC New York’s Academic Department to determine if your level is appropriate . Another option for students is to take one of Berkeley College’s English tests at their school (it’s free and lasts about 1 hour). With all these great reasons, there’s no reason why you shouldn’t apply to Berkeley College. Since it’s so close to EC New York, you can still visit your friends who are learning English while gaining important university and work experience. For more information about applying to Berkeley College, visit the front desk or Academic Office. More information about EC New York’s University Admissions Service here!